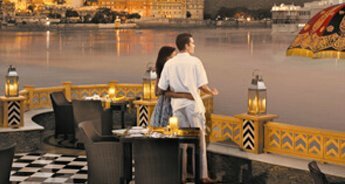 The spiritual Ganges river tour package gives you a great opportunity to explore the various the attractions of various major cities of India like Delhi, Mathura, Agra, Varanasi, Allahabad and Lucknow. 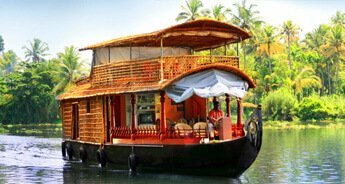 Some of the prominent highlights of the tour include a visit to the Krishna Janmabhoomi, Dwarkadheesh Temple, Banke Bihari Temple, Agra Fort, Kashi Vishwanath Temple, Bara Imambara in Lucknow and various other famous attractions. So, take a holy dip in the Ganga River, seek blessings of the almighty and feel spiritually enlightened. Morning tour of Delhi. 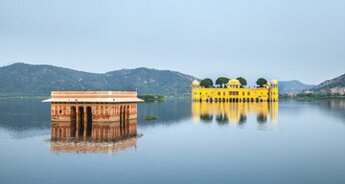 Visit Raj Ghat and Shanti Vana - the cremation sites of Mahatma Gandhi and Jawaharlal Nehru, Jama Masjid commissioned by the Mughal Emperor Shah Jahan, it is the largest and best-known mosque in India and drive past Red Fort and Chandni Chowk. Afternoon visit Humayun's Tomb, Qutub Minar built by Qutub-ud-Din Aibek in 1199, Lakshminarayan Temple - a modern Hindu Temple, India Gate (War Memorial Arch ), Also drive past President's House, Parliament House, and Government Secretariat Buildings. Overnight at hotel. After breakfast drive to Mathura. On arrival check-in at hotel. Later visit temples of Mathura - Mathura is the place where Lord Krishna was born. 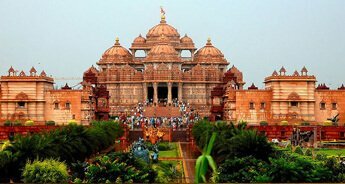 Visit places like Krishna Janmabhoomi, Vishram Ghat, Dwarkadheesh Temple, where Lord Krishna is present as a king, Gita Mandir, Nidhivan, Seva Kunj and Banke Bihari Temple. All these places have lots of religious importance. Overnight stay at hotel. After breakfast drive to Agra, on arrival at Agra visit the famous Taj Mahal - it was built by Mughal emperor Shah Jahan in memory of his third wife, Mumtaz Mahal. 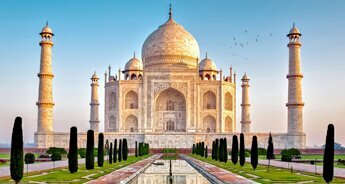 Taj Mahal is regarded by many as the finest example of Mughal architecture, a style that combines elements from Persian and Indian architectural styles. This monument is made of white marble and it took 22 years to get constructed. 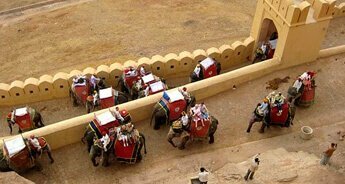 Afternoon visit Agra fort - Agra Fort is a monument, a UNESCO World Heritage site. 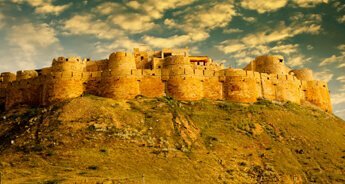 The fort is built alongside the Yamuna River and stretches almost 2.5 km. It consists of a wall built in red sandstone and several buildings inside. The wall has 2 gates, the Delhi Gate and the Amar Singh Gate. Evening transfer to Railway station for Varanasi. Overnight stay at board. Meet and assist on arrival at Varanasi Railway station and transfer to hotel. Afternoon excursion to Sarnath, located 10 Km East of Varanasi. 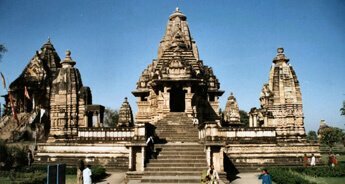 It is one of the major Buddhist centers of India. After attaining enlightenment, the Buddha came to Sarnath where he gave his first sermon. Visit the deer park and the museum. Evening back to Varanasi. Overnight stay at hotel. 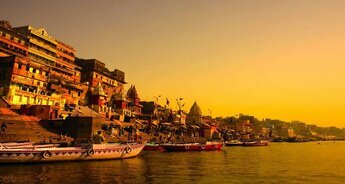 In the morning take a boat cruise at river Ganges to observe the life of pilgrims who pray by the Ghats of Varanasi and visit Kashi Vishwanath Temple - Kashi Vishwanath Temple is dedicated to Lord Shiva. The temple stands on the western bank of the holy river Ganges, and is one of the twelve Jyotirlingas, the holiest of Shiva temples. After breakfast drive to Allahabad. On arrival check-in at hotel. 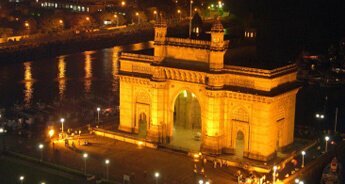 Evening free to explore Allahabad city. Overnight stay at hotel. Allahabad is also known as Prayag. 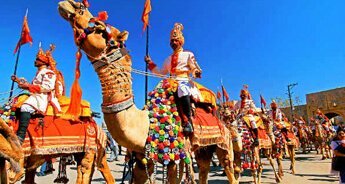 This is one of the largest cities of the North Indian state of Uttar Pradesh in India. Allahabad is surrounded by the rivers Ganges and Yamuna on three sides, with only one side connected to the mainland Doab region, of which it is a part. 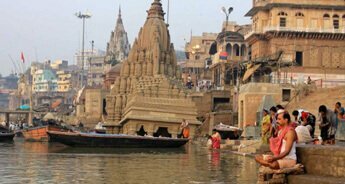 This place is very important in Hindu scriptures for it is situated at the confluence, known as Triveni Sangam of the holy rivers. After breakfast city tour of Allahabad, visit The Sangam (confluence). Here the muddy brown Ganga meets the blue Yamuna and the mystical Saraswati, with a broad flood plain forming a sandy patch in between, Mankameshwar Temple dedicated to Lord Shiva, Allahabad Fort commissioned by Emperor Akbar in 1583, stands sentinel on the eastern bank of the Yamuna. The Saraswati Kup or Well of Saraswati is believed to be the source of the elusive river Saraswati lies inside the Fort. Ashoka Pillar, 10.6 metres high and dating from 242 BC. 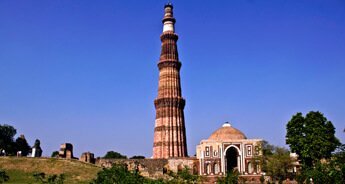 The pillar was brought from the Buddhist site of Kausambi by Emperor Akbar and has the edicts of Emperor Ashoka inscribed on it. Afternoon drive to Lucknow. On arrival check-in at hotel. Overnight stay at hotel. After breakfast go for sightseeing of Lucknow, visit Bara Imambara-The Bara Imambara was built in the year 1784 by the fourth Nawab of Awadh known as Asaf-ud-Daula. 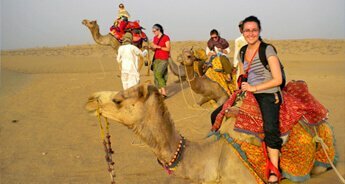 The British Residency - The British Residency of Lucknow is a famous historical landmark of this place. 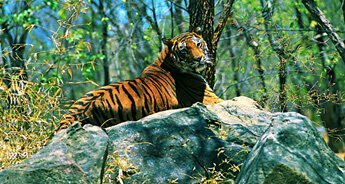 It is now in ruins and has been declared a protected monument by the Archaeological Survey of India. Chattar Manzil - One of the imposing structures built by the Nawabs of Lucknow, Chattar Manzil is a very famous tourist attraction of Lucknow. Jama Masjid - In the year 1423, Sultan Ahmed Shah constructed the Jama Masjid in Lucknow. 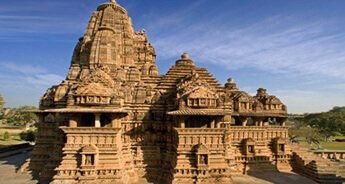 It is built entirely with yellow sandstone and is known for its intricate style of design and architecture. Rumi Darwaza - The Rumi Darwaza of Lucknow is one of the most impressive architectural structures in India. 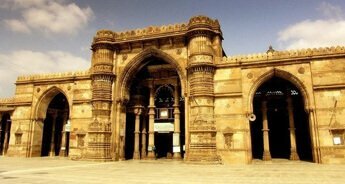 It was constructed in the year 1784 by Nawab Asaf-ud-daula. Evening transfer to Railway station for Delhi. Overnight stay at board. Upon arrival at Delhi meeting and assistance followed by transfer to airport to connect flight for onward destination.